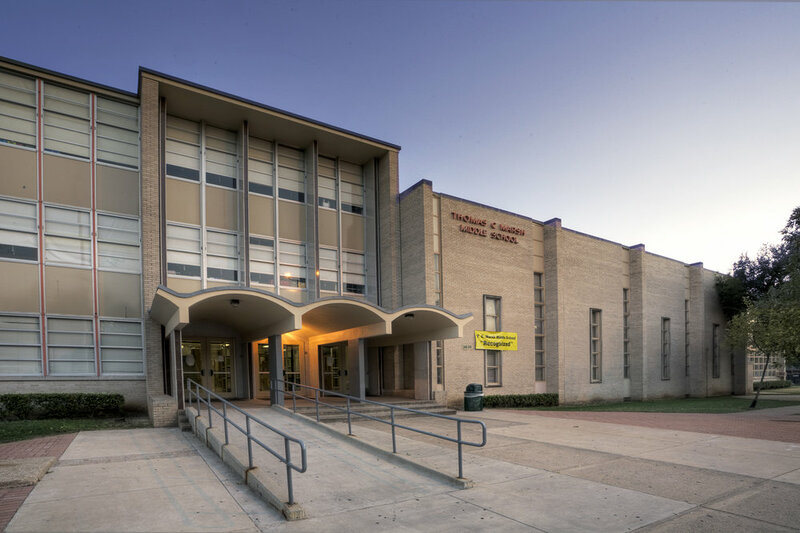 th+a completed designated renovation work on this existing middle school, including exterior and interior painting, restroom renovations, interior and exterior door and hardware replacement, including provisions to meet security lockdown criteria of the District, and new room signage throughout. In addition to the items noted above the scope also included a new computer controlled stage lighting system and a new emergency lighting system throughout the school. Curb appeal enhancements included a new brick paver gathering area at the main entrance and new exterior entrance lighting around the school for enhanced security. Mechanical and Electrical upgrades included replacement of one 320-ton chiller and associated water pumps and six rooftop and under-floor air handling units, installation of new DDC controls for selected mechanical equipment, and replacement of the existing steam boiler with two new gas water heaters. Also provided in the scope of work was the addition of two new roof mounted air conditioning units to serve the existing locker rooms.